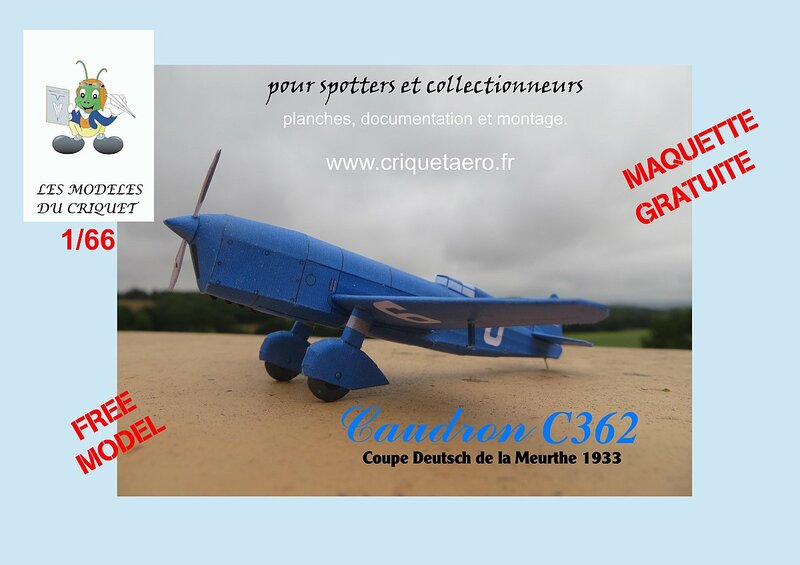 For some reason, I'd overlooked this site - Card model projects/Projets. Maybe you did too! Lots of nice models here, especially a lot of vintage light aircraft. Also see BIENVENUE - NOS BELLES "PLUMES" DU TEMPS PASSE., where further details including construction photos can be seen. Visit cut 'n' paste's homepage!